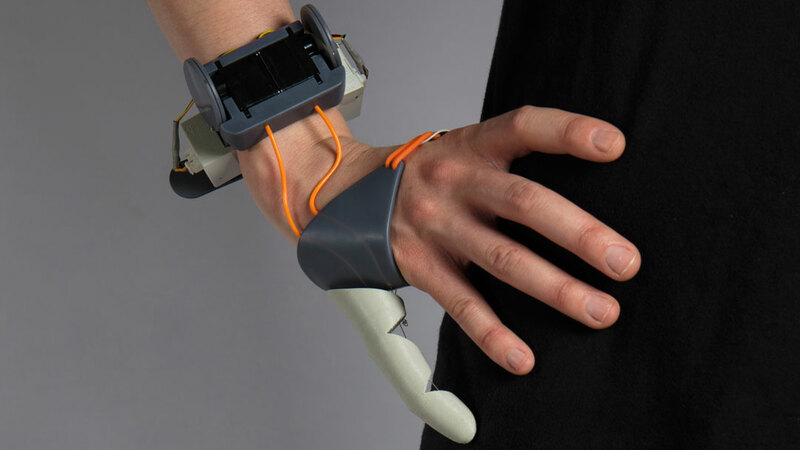 The Third Thumb is a 3D printed thumb extension for your hand, controlled by your feet. 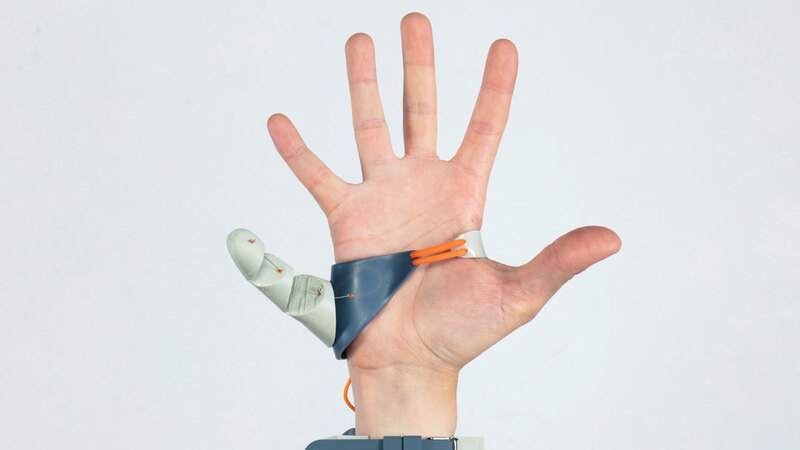 The project investigates the relationship between the body and prosthetic technology in new ways. It is part tool, part experience, and part self-expression; a model by which we better understand human response to artificial extensions. The Third Thumb instigates a necessary conversation about the definition of ‘ability’. The origin of the word ‘prosthesis’ meant ’to add, put onto’; so not to fix or replace, but to extend. 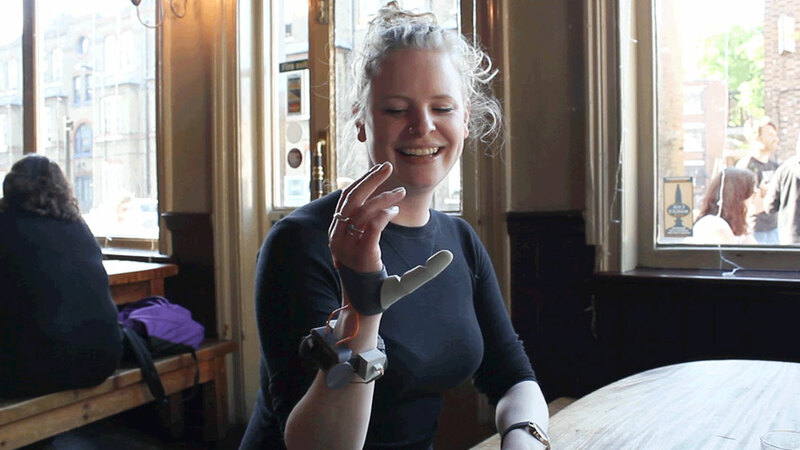 The project is inspired by this word origin, exploring human augmentation and aiming to reframe prosthetics as extensions of the body. 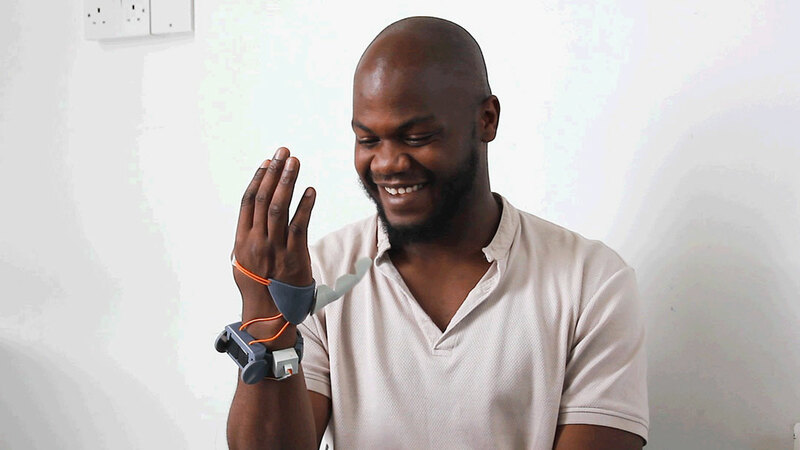 Our thumbs are such an inherently human part of us, and they have a unique, dynamic movement. 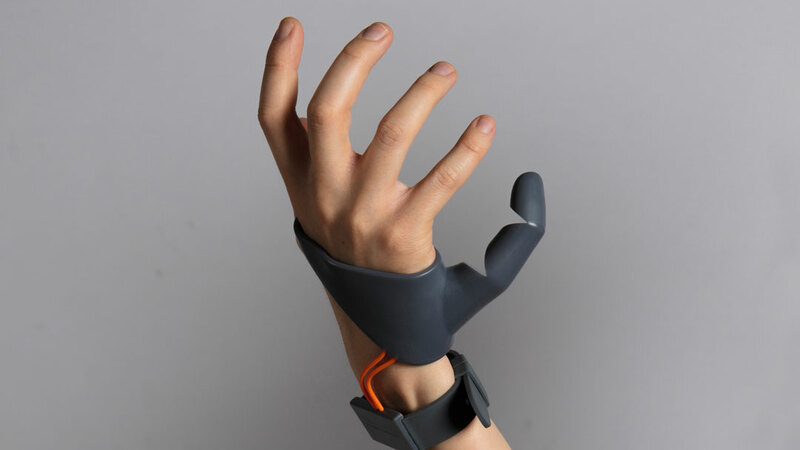 The Third Thumb replicates these movements by using two motors pulling against the natural tension of a flexible 3D printed live-hinge thumb design. The motors are controlled by two pressure sensors retrofitted into your shoes, under your toes, and communicate to the thumb via Bluetooth connection. The foot control is inspired by products that help to develop the already strong connection between our hands and our feet. For example driving a car, using a sewing machine, or playing a piano. The objects, the way we conceive the world is very ethocentric, the question is how does this vision of the world evolve as we change its point of reference. This project has great potential; both in medical aspect and the possibility of changing the gestures related to our environment. 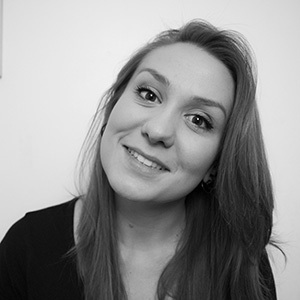 I am very interested in discovering the different impact and potential evolution of this project.